A new year is coming, why not a new version of NFR? Now in order to make the car better you must first pass through all the steps required to deploy the new kits. Speaking about kits - they are totally 3. Every step is expensive and I can easily claim that here you will invest around 80% of your budget. The deploy itself is free of course. There are more changes of course but we will talk about that later. NFR 5.1 is getting ready! The sponsors in terms of gameplay are not changed much. They have new graphics design, new contract terms and of course new taxes and rewards. Sponsors interest depends from your perfomance at the end of every Championship (in other words if you win or not). NFRAF and WAU are sponsors of the Master Championship (they will not support you if you are on different championship). They are the best and most expensive sponsors you can get. ERF and CDF are sponsors of the Trainer Championship (they will not support you if you are on different championship). They are the middle class. NFRFT and FFM are sponsors of the Junior Championship (they will not support you if you are on different championship). They are Rookie sponsors and as such you can't get much money from them. Now the Career main page is not empty at all! The page for selecting a Championship is removed and instead now the player will choose his/her Championship thanks to the NFR Gold Cups. In other words the navigation is now faster. The 3 new logos are the teams which you can choose to race with. You must choose first your team (Team Osuushi Racing is unlocked), then you must choose your Championship (NFR Junior is unlocked) and then do whatever you want. To unlock the other teams you must win the World Championship title a few times with your current team. To unlock the other Championships you must do Test Days to get experience. Every team have it's own statistics so even if you change your team and then go back to the previews one - your stats will be there. Also the Race Day/Test Day now includes all circuits and you can do tests on every circuit you wish! And last - now you can restart your game progress through the Options menu. The days when you must close your game and start it again are over! NFR 5.1 is finally here and Happy New Year, everyone! - Team selection: Team Osuushi Racing, Red Falcon Racing, Rated R Racing. - The Upgrade Kits are now a process with 6 steps. - Two new cars are introduced in Multiplayer instead of Blue Falcon and Red Falcon. - The Test Day's are now needed for team transfers. - The menu music is removed. - The sponsors now have new logos. - Every car now have new design. - The circuit adverts now have new design. - The Career menu is improved. - The Circuits selection screen is improved. - The sponsors details are revised. - Restart Game option is added. 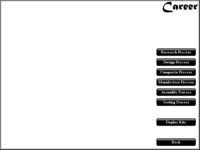 - Control Method option is added. 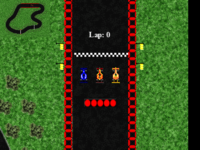 - Every race position is now rewarded with points. - The game license is now Creative Commons. - The race expenses are removed. - The crash expenses are removed. 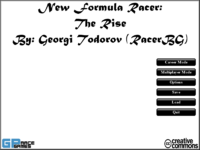 - The race distance and the difficulty rewards are removed. Now on the website! Well done! sionco wrote: Now on the website! Well done! Thank you very much! 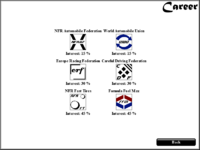 But still the game section shows NFR 5.0.